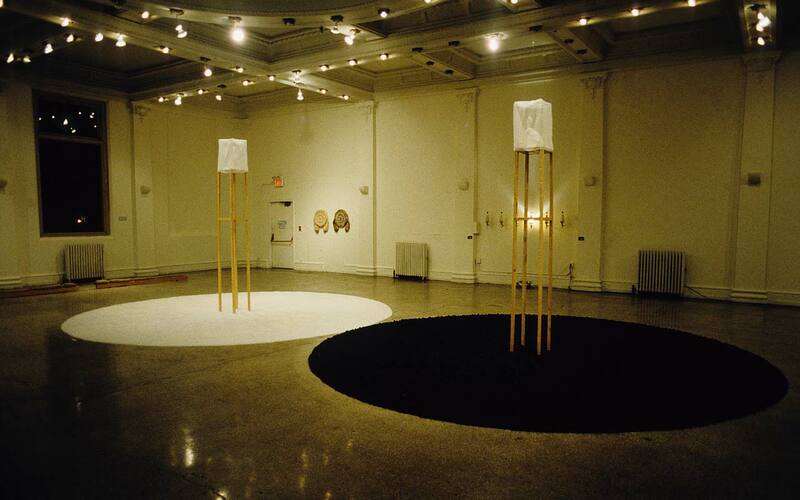 "This installation consist of two twenty foot circles; one created with crushed charcoal and the other with crushed salt. Also in fabric veils, sit two carved salt block rabbits sitting on wooden stilts facing each other. The inspiration for this piece comes from the fact that Confucius was supposedly born in the year of the rabbit." circles (plane figures); rabbits; stilts (structural elements); veils (headcloths); balance; Confucius; Yi, Jason S.